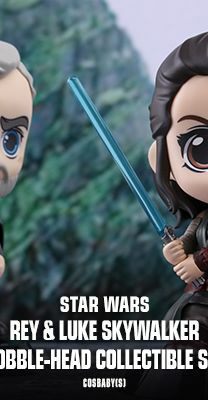 Star Wars fans around the world are eagerly waiting for December to come soon as Star Wars: The Last Jedi will finally hit the theaters! 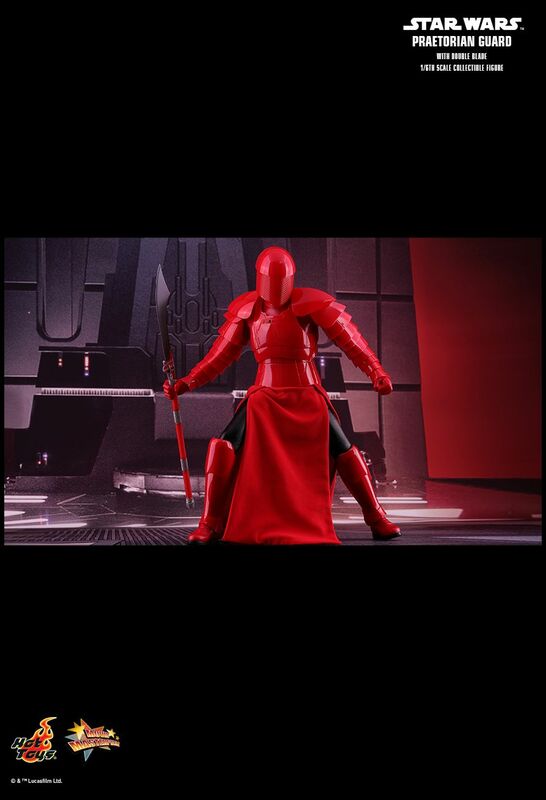 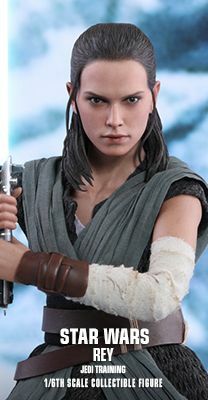 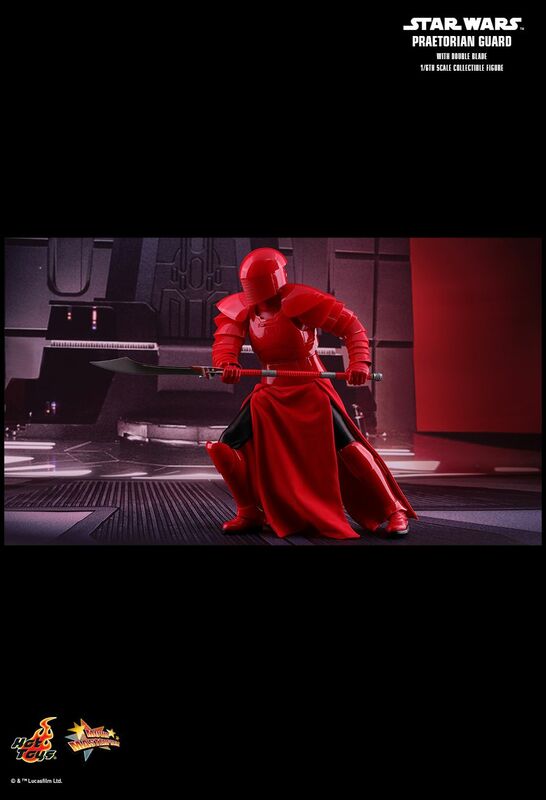 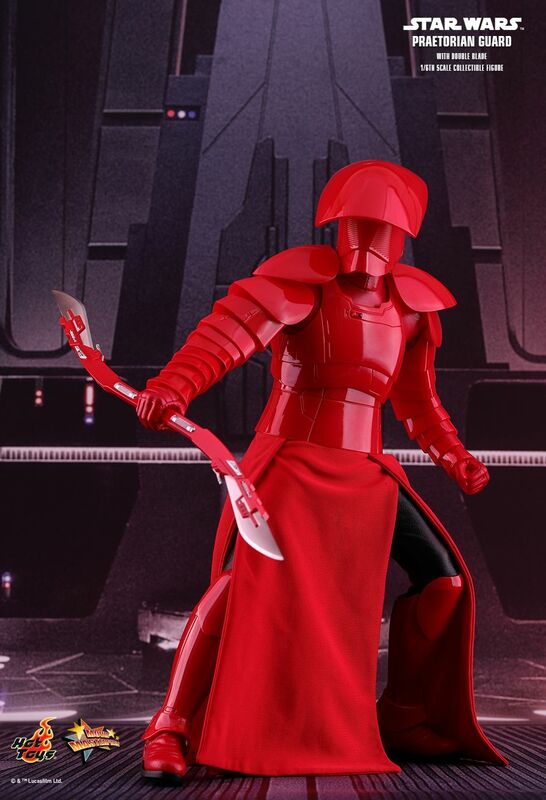 In this latest installment of the Star Wars saga, fans will get a closer look at the First Order’s Supreme Leader Snoke who will be flanked by loyal protectors clad in crimson colored ornate armor to defend the sinister leader from any danger. 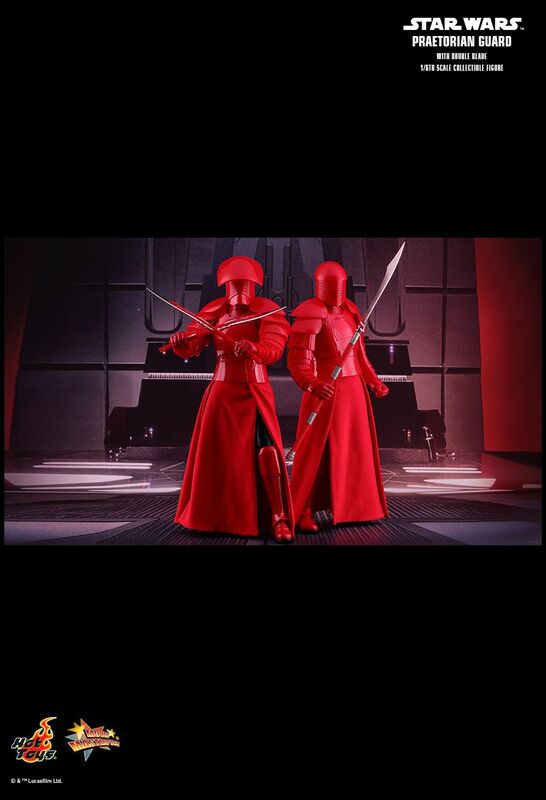 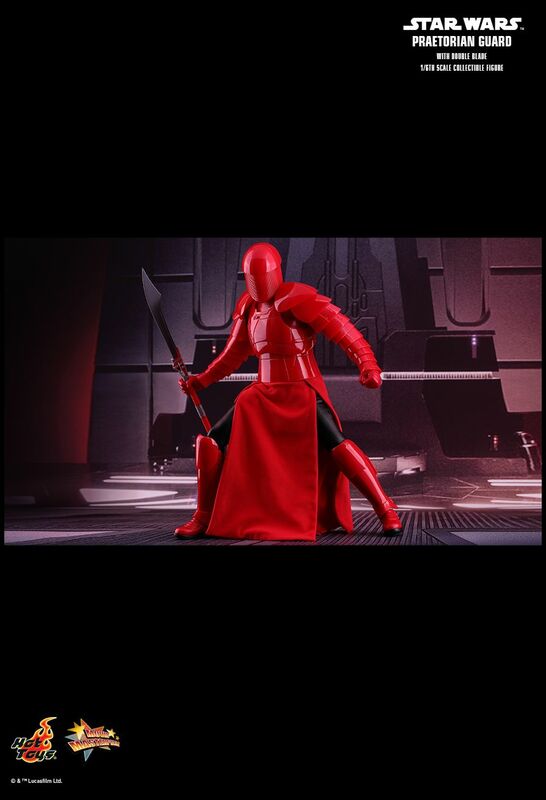 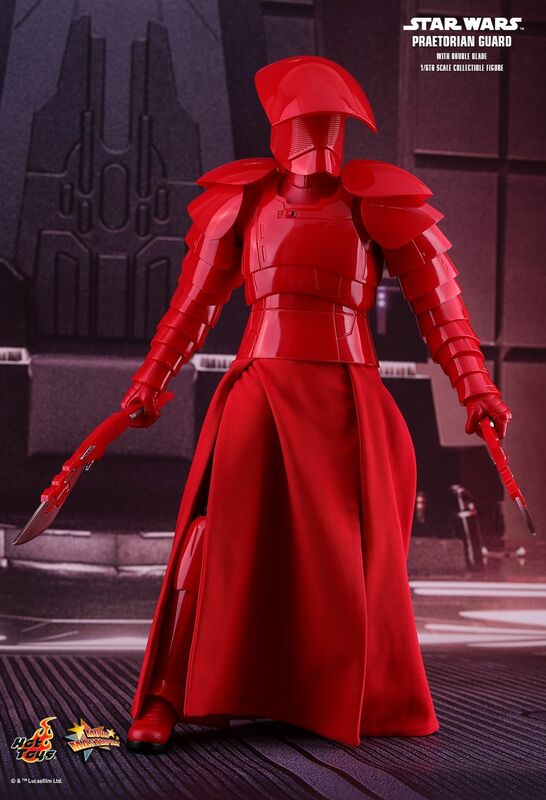 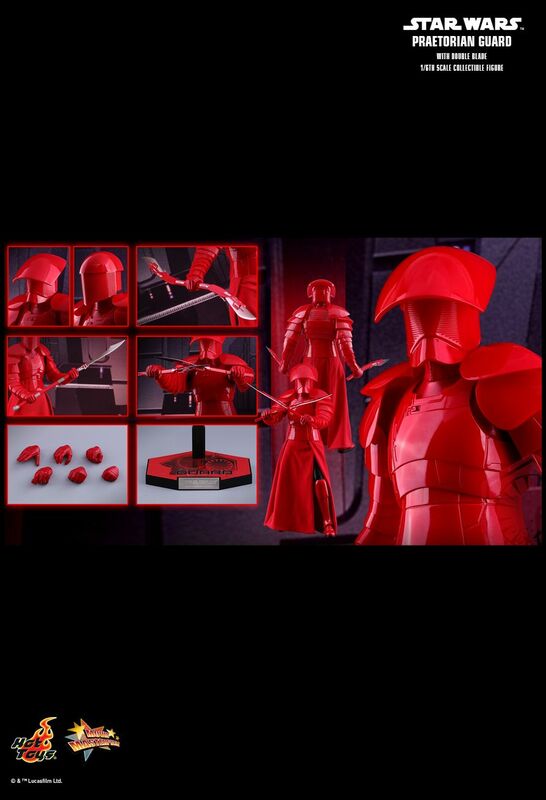 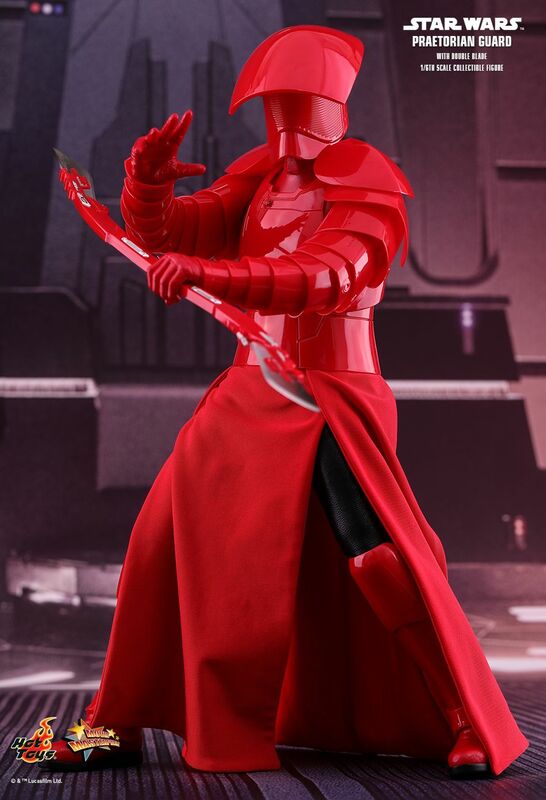 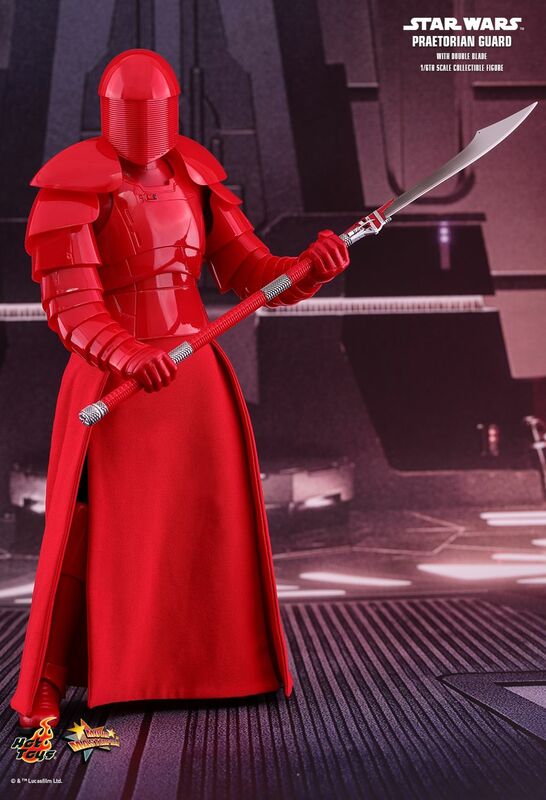 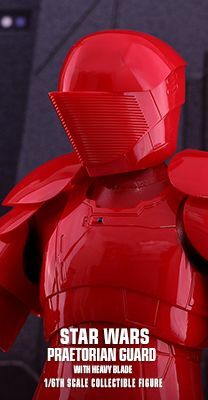 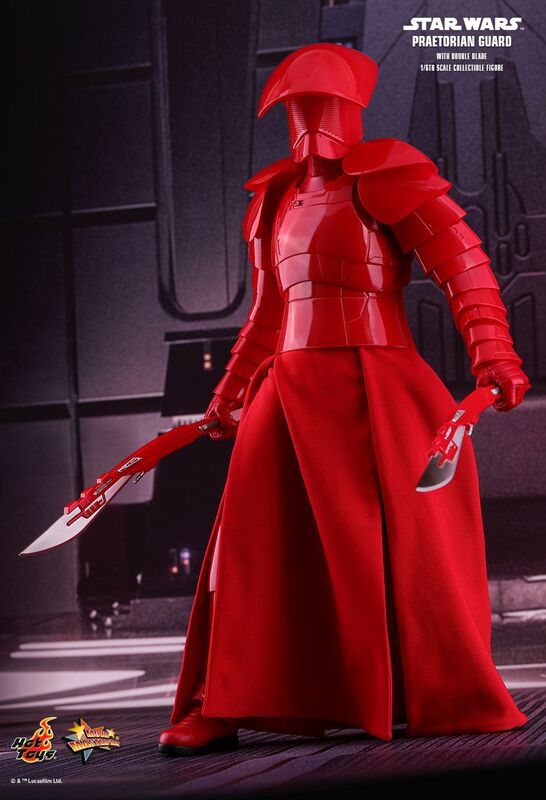 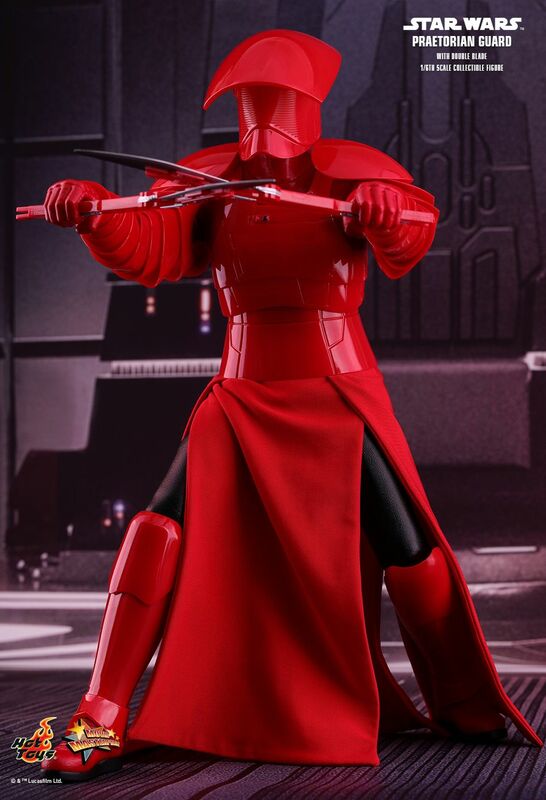 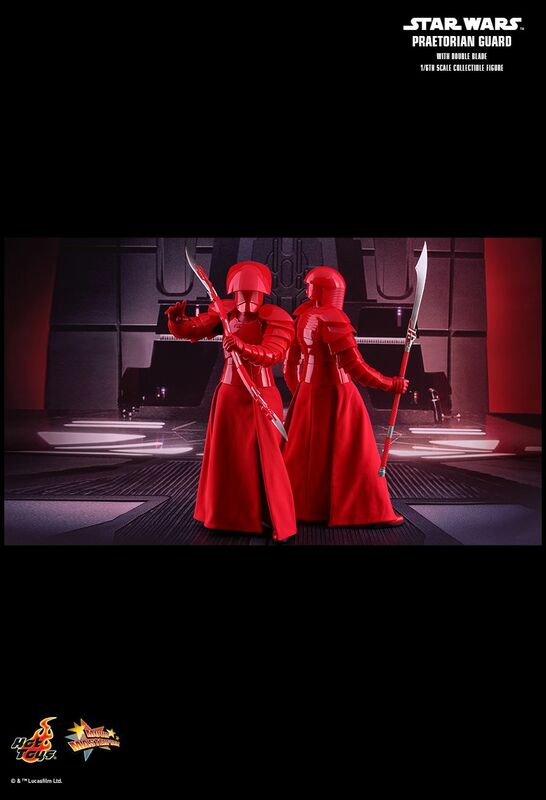 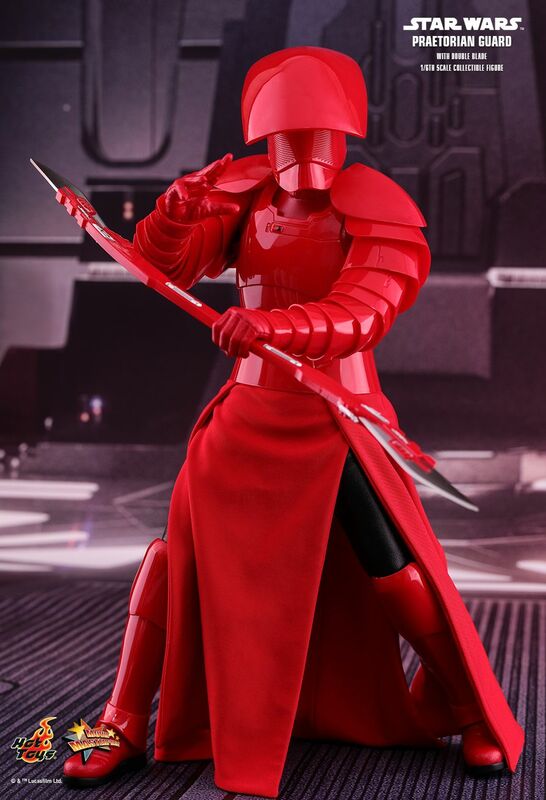 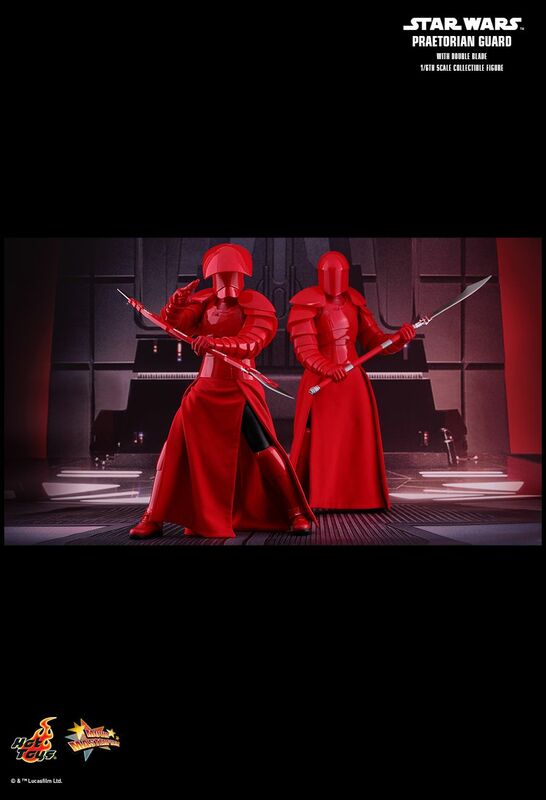 In anticipation to this upcoming epic blockbuster, Hot Toys is excited to introduce the 1/6th scale collectible of the Praetorian Guard in Star Wars: The Last Jedi! 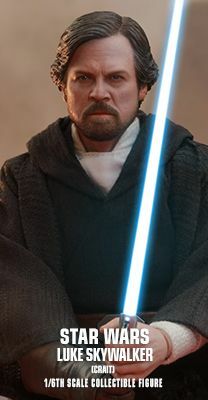 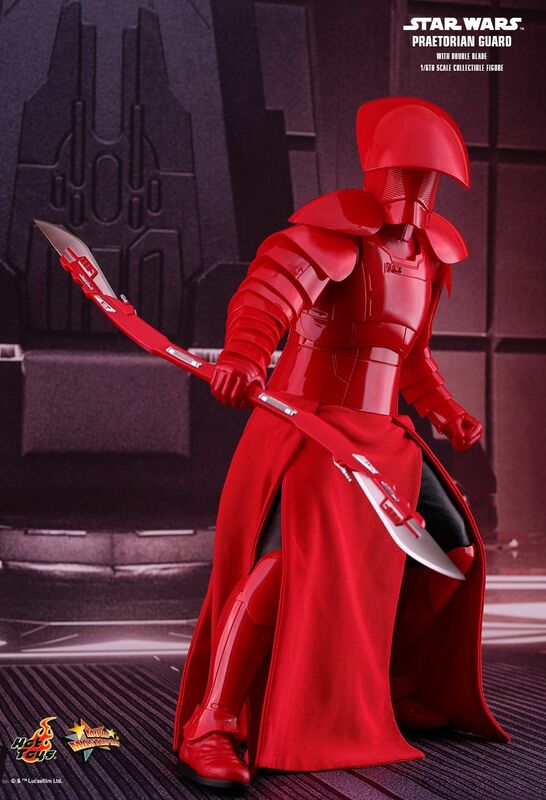 The highly accurate collectible figure features a skillfully crafted helmet, body armor, and outfit, specially applied glossy red colored painting on armor, the guard’s unique single blade, double blade weapon, and a character themed figure base! 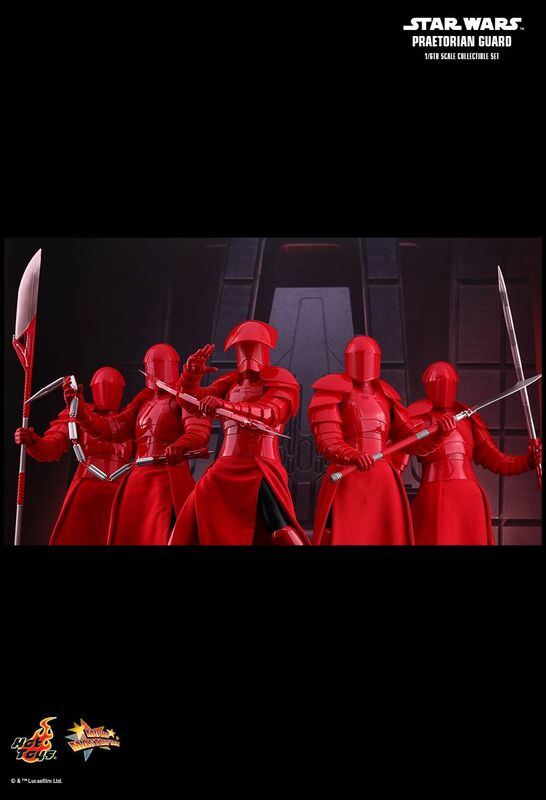 Let your Star Wars collection grow today by adding the new Praetorian Guard (With Double Blade) 1/6th scale collectible figure!